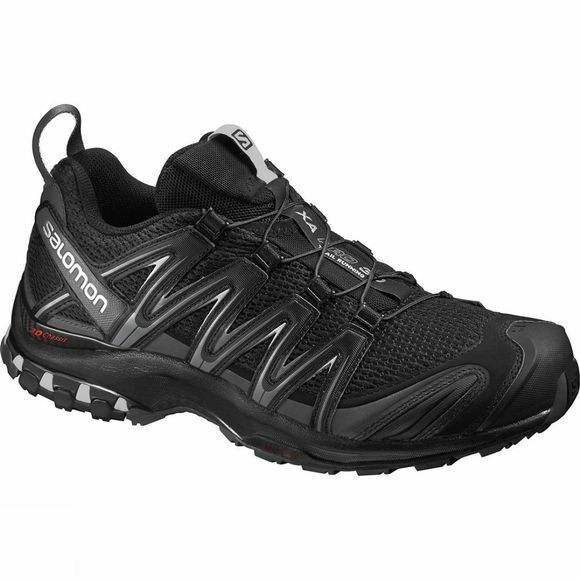 The Men’s XA Pro 3D has become a classic trail race shoe with proven performance at the highest level. With Salomon’s latest modifications, from your first step to the last, you’ll be amazed by the fit, stability, durability and grip. The incredible stability is achieved by the reshaped Advanced 3D Chassis. It combines flex in the forefoot with plenty of support under the heel to help propel you along. An EVA rebound midsole adds extra comfort. A precise and secure fit is provided by Salomon’s ubiquitous Sensifit system and an Endofit foot sleeve. Together they grasp your foot to hold it comfortably in place while allowing intuitive feedback from the ground. The upper is predominantly mesh that lets perspiration escape and dries quickly when it gets wet. 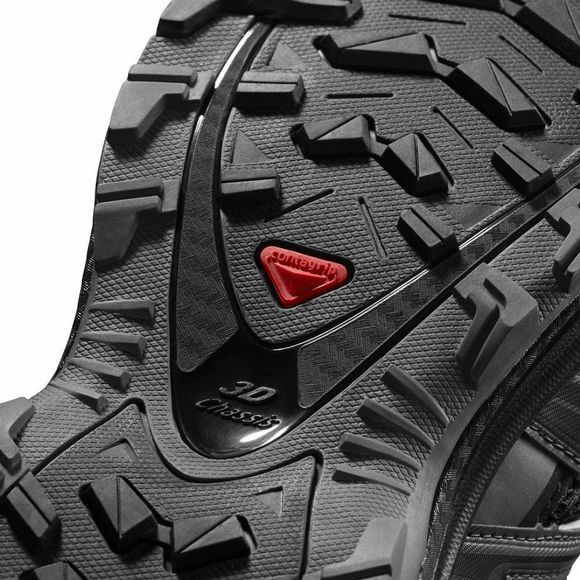 Durability and grip are enhanced by the multidirectional lug design under the rubber outsole. The lugs claw onto the terrain and displace water to improve surface contact. The Contagrip rubber compound is tacky against any surface. The Quicklace system gets you ready-to-run in seconds. Just pull the cord, slide the toggle, then hide the toggle and excess lace in the pocket at the top of the tongue.